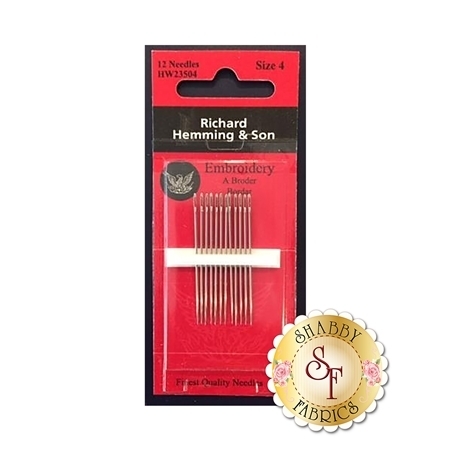 This is a 12 pack of British made Richard Hemming size 4 needles ideal for Crewel and Embroidery work. The needles have a longer eye which makes them ideal for threading stranded cotton. Apart from this, they are the same in length and point as an ordinary sewing needle so they slide easily in an out of the fabric you are stitching.